NEW YORK--(BUSINESS WIRE)--Two of the world’s most cherished traditions will once again share the same holiday stage as Twentieth Century Fox’s iconic film classic, Miracle on 34th Street, brings to life Harold the Baseball Player, a legacy Macy’s (NYSE:M) character and now a newly recreated balloon in the 91st Annual Macy’s Thanksgiving Day Parade®. The 1947 film celebrating its 70th Anniversary this year, prominently featured Macy’s flagship store, its renowned Parade, and the one-and-only Santa Claus in a tale that has taught the world to Believe. On Thursday, November 23, as the annual march steps-off, more than 3.5 million spectators lining the route in New York City and more than 50 million viewers nationwide will delight in the magic and the miracle once more. Miracle on 34th Street, an irresistible fable that over time has become synonymous with Christmas celebrations, was partially shot on location at Macy’s flagship store at Herald Square in New York and during the 1946 Macy’s Thanksgiving Day Parade. The three-time Oscar®-winning film, followed a cultured gentleman with twinkling eyes, an ample belly, and a snowy beard (Edmund Gwenn), as he is hired to be Santa at Macy’s during the very busy holiday season. He claims his name is Kris Kringle, and soon fills everyone with the Christmas spirit … except for his boss, Doris Walker (Maureen O’Hara), who’s raising her daughter Susan (Natalie Wood) to not believe in Santa. But when Kris Kringle is declared insane and put on trial, everyone’s faith is put to the test as young and old alike face the age-old question: Do you believe in Santa Claus? During a memorable Parade scene in the film, the Harold the Baseball Player balloon comes into view, and little Susan, sitting at a bay window, correctly announces to Mr. Gailey that the balloon, although dressed as a Baseball Player that year, was in fact previously dressed as a clown. The new recreation of the Harold the Baseball Player balloon marks his first return to this form since 1946. 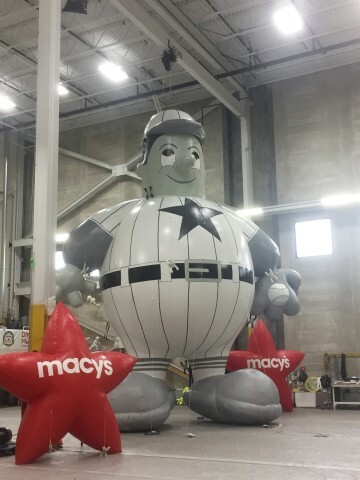 Measuring 30.3-feet tall, 25.2-feet wide, Harold was painstakingly recreated by the artists of Macy’s Parade Studio to look exactly as he did in the black and white movie, dressed in a bold striped uniform and hat, a Macy’s star emblazoned on his chest, with a catcher’s mitt and ball in hand; the legacy character’s shades of black, white and grey will be a remarkable throwback to the golden age of film. 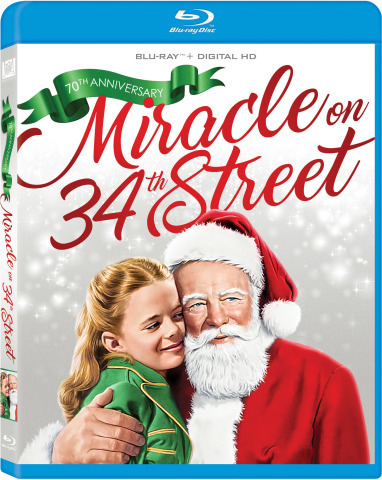 The Miracle on 34th Street – 70th Anniversary Edition will be available on Digital, Blu-ray and DVD October 10, courtesy of Twentieth Century Fox Home Entertainment. The 91st Annual Macy’s Thanksgiving Day Parade airs nationwide on NBC-TV, on Thursday, Nov. 23, 2017 from 9 a.m. – Noon in all time zones.